but emptied himself, taking the form of a slave. Christ empties himself, he divests himself of the external appearances of divinity, if we can put it that way. He becomes “like one of us,” sharing our life, and sharing our death. And here in the Upper Room with his disciples, Jesus acts out the meaning of that self-emptying that will not stop pouring itself out in love until all his been accomplished on the Cross. He lays aside his garments to serve his disciples, to wash their feet, to be their slave — to do what is necessary for them if they are to be included in the cleansing of the world effected by the shedding of his blood. In this action of the servant-master, the emperor with no clothes, the self-emptied God, Christ sets us an example, John says. As Christ laid aside the garments of divinity and glory to become one with us and serve us, so we are to lay aside whatever garments hold us aloof from our fellow human beings, whatever apparel hems us in and restrains us from becoming servants to one another. To use Paul’s language, we are to put off the old humanity, because its fabric is no longer in fashion, and put on Christ, the new humanity. Actually, he misquoted Dr. King. King’s image was “a single garment,” not a seamless one: “Injustice anywhere is a threat to justice everywhere. We are caught in an inescapable network of mutuality, tied in a single garment of destiny. President Clinton may have made a mistake, but I’m glad he did, because by conflating John’s words with Dr. King’s he gave me this sermon. What Christ was doing at the cross was reuniting the seamless garment of humanity. Paul, speaking of what was for him the most obvious tear in the fabric of humanity, the divide between Jews and Gentiles, writes, “now in Christ Jesus you who were once far off have been brought near by the blood of Christ. For he is our peace; in his flesh he has made both groups into one and has broken down the dividing wall, that is, the hostility between us … that he might create in himself one new humanity in place of the two, thus making peace, and might reconcile both groups to God in one body through the cross, thereby putting that hostility itself to death” (Ephesians 2. 13-16), “nailing it to the cross” (Colossians 2. 14). On this Good Friday, when we read a story that has stirred hatred of Jews in the hearts of Christians and led to terrible pogroms and eventually death camps; when all but the most recent printings of our prayer book include a prayer for “the Jews … and all who reject and deny thy Son,” accusing them of “ignorance, hardness of heart, and contempt of God’s word” — on this day when the story of Christ was used to divide and separate, we are called to build one world, to fight against what Paul calls the principalities and powers which, he says, God disarmed and made a public example of, triumphing over them in the cross (Colossians 2. 15). Nailed to the cross. For, to quote Paul yet again, in the great passage that ties the cross to Dr. King, the Little Rock Nine, and all who resist oppression and work for justice: “in Christ Jesus you are all children of God through faith. As many of you as were baptised into Christ have clothed yourself with Christ. There is no longer Jew or Greek, there is no longer slave or free, there is no longer male of female; for you are all one in Christ Jesus” (Galatians 3. 24-26). Humanity is a seamless garment. Let us not rend it. The Church, Christ’s body, is a seamless garment. Amidst all the voices that threaten to tear it apart, let us not rend it. For Christ is not divided. The earth, Gaia, the ecosystem, is a seamless garment. Let us not rend it. Our theme this Easter is clothing. On Maundy Thursday we read that, at dinner with his friends, Jesus got up, took off his outer garment, girded himself with a towel, and washed their feet, doing in effect the work of their slave. We saw that the garments Jesus puts off are the signs of his divinity, his lordship; and that his purpose in divesting himself of that raiment of glory was to serve humanity, to ransom us and to save us. And we thought that Christ’s action was an example to us, that we are to put off whatever “raiment” separates us from our fellow human beings or makes us think of ourselves as “special” or better than they are, so that, following Christ’s example, we too will become servants of one another in love. Today, Easter Day, we turn to ask what St. Paul means when he says we are to “put on the Lord Jesus Christ.” We begin with the end, and words of Paul from a little later in the same chapter of the letter to the Church in Corinth we heard read earlier in this service. There he writes, “this perishable body must but on imperishability, and this mortal body must put on immortality.” For, he says, “we will all be changed, in a moment, in the twinkling of an eye, at the last trumpet. For the trumpet will sound, and the dead will be raised incorruptible, and” — like Superman in his phone booth — “we will be changed.” That is the ultimate putting off of the old and putting on the new, this laying aside of the garment of this body to be clothed in the glorious body of the resurrection. The message of Easter is one humanity, one world, one seamless, star-bedecked garment of creation; the call of Easter is to put off the old garments of divisiveness and prejudice, of hatred and name-calling, of race and clan, language and colour, and to live in Christ, to realize, in the words of Dr. Martin Luther King, Junior, that “We are woven into a seamless garment of destiny” together. 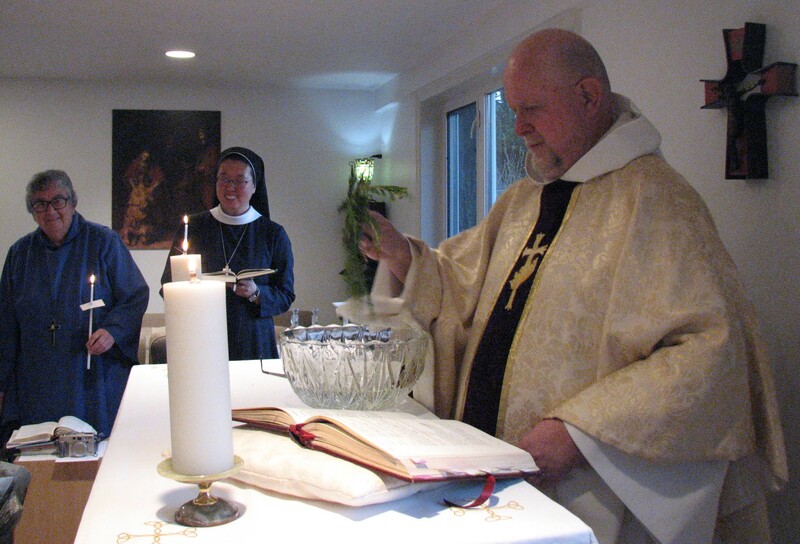 Recently, January seventeenth to be exact, it was the fourteenth year of the dedication of the Chapel of St. John at the Convent. It is a special day that comes around every year, and just as it is for the Sisters and the community, so it is for me. Five years ago this January seventeenth, my daughter was born. My story from then on has revolved around and without her. Motherhood, as I experience it inwardly and apart from her, has everything to do with moments in time; moments of dedication. First steps and words, like the Sisters took on this day, towards an open future; an unknown. What will happen from here? Where are we going now? Who am I without her? What do I do now? Five years on, I have started to walk along the ancient paths, to the Convent, and to the Chapel of St. John in North Toronto. I have come a long way from a hospital room in Southern Alberta. as words within the Word. let this house proclaim from floor to rafter. As these words were presented to me, as the choir behind and before me, the organ pipes sounded with praise, where else could I be? Of course, it is here. Here, where I must be. What does it mean for all to be welcome? What if we truly carried this promise out? What does it mean for the outcasts, the liars, the enemies? What does it mean for the non-believers and the church-goers? For the hypocrites and the thieves? What would it mean for those not living in freedom? For ourselves, what does it mean? What does it mean for me with the pain and grief I have gone through? For the divide in my life on this day? A day where I can’t help but remember I am alone, without her, but filled because of her. Filled with sound and silence. Filled with waiting and filled with knowledge. Knowing, when I have waited so long to be understood, to be known. On the joyous and painful day of January seventeenth, ‘all are welcome’. Moments are miracles happening in time, little by little. Music rings from our lips and keys and organ pipes. Can’t you just see it? Take a listen… where all God’s children dare to seek…all are welcome…here the love of Christ will end divisions…all are welcome. During the chorus, I look up, share a smile with a Sister ahead of me; don’t they say singing is praying twice? Living with the Sisters has taught me the value of time. There is more than enough of it, and never enough. We will never have as much time as we would like, but there will always be more time later. Later, after the Daily Office. After serving one another and the Lord. Time will pass just as it had up to this moment, the moment for prayer. It will remind us of what we have done and left undone. It will remind us at noon, that the Table is not just for me, or you, but for everyone; no really, everyone. Jesus doesn’t just look like the people you are used to seeing. Silently we wander through the day, with rest and toil and the work of God permeating the time that has passed. Pausing, in this work, to be reminded that we are beings in time, with the hope of eternity. Once, eternity seemed ever so long, ever so dim. It seemed so far off when I could not even bear to welcome myself. I imagine myself now, singing this promise in a procession in my church back in Lethbridge. I served for a while last year, and I can see the pews and vaulted ceiling above me, the crucifer ahead, the choir and clergy behind me. As they like to say, walking ‘holy and slowly’ and all our robes swaying with the movement. For reverence has its own pace that we can never quite keep up with, but it looks a lot like ordinary to me. I wonder if we could recognize this holiness in each other? What would it look like to welcome this holiness in the day to day outside chapel and church walls? In the Starbucks, downtown and in the side alleys maybe? Or to even recognize it in our pews, chairs, and choir stalls. What would it look like? Would it look like the hotel clerk or the lawyer, or the street performer? Would it look like your enemy? Would it look like your neighbor? I remember walking into the church just over a week after January seventeenth five years ago, feeling a lot like the stranger; like the neighbor. I was the person next to you in the pew you did not know, even in a place I had known my whole life. I was the woman at the well just trying to go through my day the best way I knew how. I was among the five thousand. Wandering. Waiting. Seeking. You may not have to like your neighbor, but they are as much a part of creation and as deserving of resurrection as you are, so I hope you can find it within yourself to love them; they are just as worthy of approaching the feast with ordinary holiness in their heart. This has nothing to do with you or me, but with Jesus. This is what I have been learning from the Sisters: all are welcome. Please, come and give thanks where fear and danger have no place. Advent is drawing to a close; Christmas is soon upon us. Time has slowed down and sped up all at once it seems. Only last year was I living at home once again, uncertain, yet hopeful to be accepted as a Companion. What a joy and relief it is to be here over a year later in my own room in the convent; amongst friends. In this last week before the white candle is lit, hours and days carry new meaning. 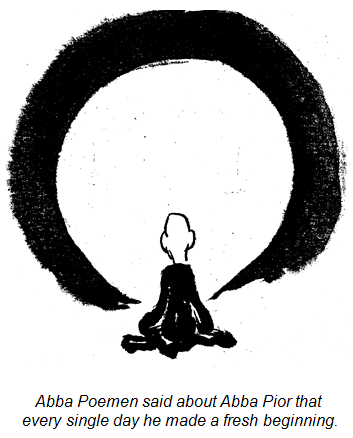 Silence and stillness shed the layers of noise and restlessness so etched into every aspect of my life. During this season I have begun to ask myself: who am I in the middle of all of these preparations? Where do I fit in my own adventure and the wider story around me? Where is Jesus? I believe Jesus came into the world to be the light in the darkness. I definitely see this in my own life and experience. Joyful expectation is hard to manage among the griefs and sorrows of being human; being vulnerable. This is a time of waiting, of looking forward and behind. This season is peppered with the turmoils of the past; divorce, death, loneliness, poverty, anger, regret, grief. Even in a place called ‘the heart of the church’, I have not gone unaffected. I have slowly been more agitated and withdrawn; even without noticing it myself. Until I took the time to look up. To look up past the vulnerability and cares in my life. Look away from the sorrows of yesterday. Looking to the star in the sky, leading the way; lighting up the night. Now, I guess this means Jesus must have been born at night, but I do not think there is a better message of hope than this. Just when the world seems to tilt a little too far, just when it seems to get just a bit darker, a flickering light captures those dark tendrils. The shadows’ lengthening pauses and instead, evening begins to feel warm, night begins to open into an embrace instead of a cold shoulder, and I am once again, disturbed by grace. Unashamedly, powerless and helpless, to grace. Maybe, this vulnerability is why it means so much to look forward to the coming of Emmanuel. For God with us as an infant could not remind us more to look within, and to love with abandon. For this love, this is why I came to Toronto. What does it mean for my story to intersect even more closely with the body of Christ? This oblation is written on my heart, and on those around me. These preparations remind me that I am just as me as I was when I arrived, and am just as willing as I was a year ago. That this adventure is ongoing, and this Advent is being spent waiting, and being wrecked by grace over and over again; joyfully. Well today is the first day of Advent, the Church’s New Year. And in spite of what at first seems like a rather gloomy gospel, the day is full of hope. Every year we have the opportunity to make a new beginning in our spiritual lives, in our relationships, in our attitudes, in our attempts to follow God’s will, to live out our own deepest desires. Really? Will Jerusalem ever live in safety? We urgently hope so, and we pray so – not only for Jerusalem but for Ukraine in its conflict with Russia, for the United States in all its internal and international conflicts, for the migrants from Central America wanting to enter the United States, and for so many others in the world including Canada who do lot live with a sense of peace and safety – and for the conflict in our own church as well. God has given Jeremiah the promising words that God will make a fresh beginning – as God did with Adam and Eve, with Noah and his family at the time of the flood, with David and the many other people chosen of God who sinned time after time. And especially the fresh start God made for us all in sending Jesus – and as God continues to do every time a human being is open to accepting the great love of a Creator who has stamped us with the divine image. “The days are surely coming when I will fulfill the promise,” says the Lord. That is the great hope of Advent, and we see that same hope in Paul’s first letter to the Thessalonians when he prays that God will “make you increase and abound in love for one another and for all, just as we abound in love for you.” As we increase in love, each person on this earth, we increase the hope for peace and justice in the world. 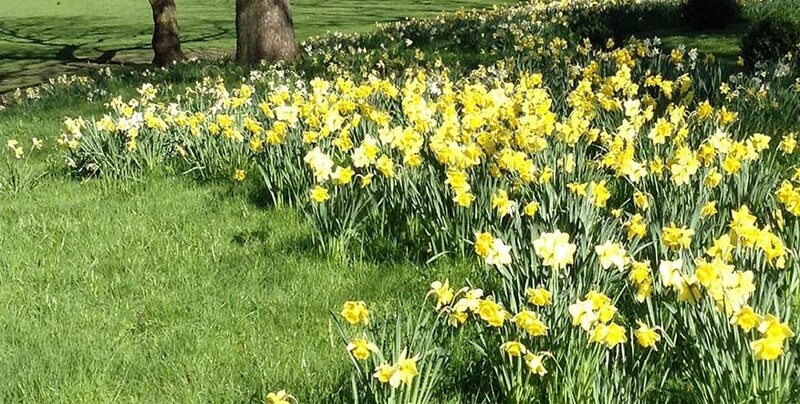 And it’s that hope offered by Jesus which is at the heart of the parable about the trees – when they sprout leaves “you know that summer is already near. So also, when you see these things taking place, you know that the reign of God is near.” Every place, every time we see disaster or death or pain or sorrow, the reign of God is near. In other words, Jesus is reminding us of what he says elsewhere that the “reign of God is within you” – within you personally, as God makes a home in each of us. But also within or among you in your community, your family, your church, your city – wherever disaster falls, or conflict or sorrow or pain, the reign of God is visible when we respond with love and prayer and active service to others. And when we ask forgiveness for the times that we did not respond with love or gratitude, whenever we fall and get up, fall and get up. Just as the disasters described by Jesus happen numerous times in human history, just as often the reign of God is right there, wherever people are willing to act in the image of the Creator, on behalf of the Creator. As Teresa of Avila said, Christ has no body now on earth but yours, no hands but yours, no feet but yours. We are Christ’s body. And so to some extent the hope of Advent is lived out in each of us, individually and corporately. Where each of us is willing to get up and go on whenever we fall, where each of us is willing to be Christ’s hands and help another when they fall, where each of us is open to conversion of heart and mind – there is the hope of God’s reign, there is God’s reign already within us and among us. And so as we start our journey toward Christmas where we will celebrate Christ’s birth among us and within us, so we also muse on the second coming, the coming of Christ in us in the midst of the disasters in our world, and we pray for all who hurt – especially those who have no one to pick them up when they fall. Around the year 325, Emperor Constantine sent his mother Helena to the Holy Land to erect churches on the sites associated with the birth, life, and death of Jesus. The Jerusalem Helena came to bore no resemblance to the city Jesus knew. Even the name “Jerusalem” no longer existed. The Romans had been so angered by the Jewish revolts in the decades following the crucifixion that in the early second century they had levelled the old city, and on its rubble had built a new, pagan city, which they called Aelia Capitolina. The old city may have gone, but it lived on in the memories of the Christians who still lived there. When Helena asked them about the place of Christ’s crucifixion and burial, they had no doubts. They took her to a particular spot, and, pointing down, said, “Here.” “Here” was a temple dedicated to the goddess Aphrodite. What Helena was seeking, the people said, was buried here. A few metres in any direction, and the work would have been much easier, but it had to be “Here.” And so they set to work. They dismantled the temple, they broke up the great stone platform on which it stood, and they cleared away tonnes of rubble, the remains of the old city. A little to the west, the quarry ended in a high vertical wall which, as was customary in the first century, had been honeycombed with horizontal grave shafts. Was there any question about which was the grave? Absolutely not. It had to be this one, they told Helena. So they set to work again, quarrying away the entire rock face to leave that one tomb standing free. Then, to the east, there was an area where the floor of the quarry sloped steeply down, forming a cistern. At the bottom they found some pieces of wood, which Helena declared to be the wood of the cross on which Jesus had died. Helena had a great church built over Calvary, the tomb, and the cistern – now become the chapel of the Holy Cross. Relics of the cross were embedded in the altar that faced the empty tomb. The church was called Anastasia – the Resurrection. It was dedicated on September 14, in the year 335; and ever since the Church has kept this day as Holy Cross Day. The Anastasia was destroyed by the Calif Hakim and then rebuilt on a much smaller scale by the Crusaders, and renamed the Church of the Holy Sepulchre. My favourite part is the steps leading down to the Chapel of the Holy Cross, because the walls along the steps are covered with little crosses that the Crusaders, those “soldiers of the cross” had carved into the stone. It’s as if they wanted to say: I was here; and I claim this place for Christ and Christ’s cross, as Christ and his cross have claimed me. I told that story, at somewhat greater length, at the ordination of a friend a few years ago. Hers had been a long journey to ordination as a deacon, and went on for several years before she agreed to be ordained priest. But, like those people in Jerusalem, God points, “right here.” God digs away the rubble to find the place in us where death gives way to life, to find what we think of as dry wood but he knows is the tree of life. The Rev. 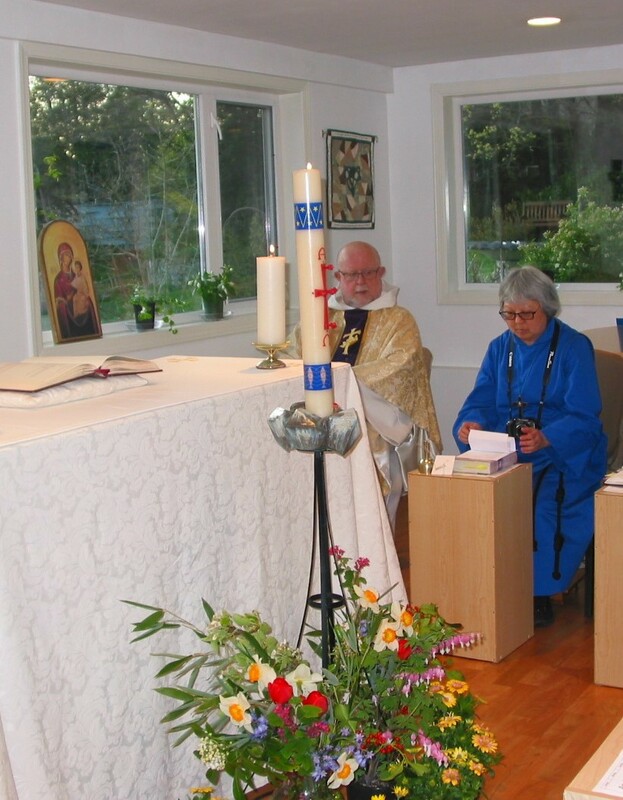 Canon Bill Morrison is a retired priest of the Diocese of British Columbia and a good friend and supporter of the Sisters’ ministry in Victoria. The pull to go to the Convent had become consuming. I felt a strong need to be set apart from the world so that the Spirit of God could do its work of sanctification within me. I didn’t know at first if I was physically strong enough to complete the program, but by God’s grace, and with a whole lot of love from the Sisters and my two beloved fellow Companions, I began a year in the Companions Program that I will always cherish. Once I arrived, I discovered that this “hospital” I had come to for a spiritual overhaul was even more than I expected. The other Companions and I prayed and worshipped, both privately and corporately with the Sisters. We took classes together and read books together. We studied the Rule of St. Benedict. And we looked at what life in Christ is really all about, what it means to love God with all our hearts and to love his people as ourselves. We learned about Lectio Divina, and we met in groups to practice different forms of prayer. Day by day, a space was made for me to be open and to share how I felt. I found out that being open and vulnerable, while risky, was necessary if I wanted to be made whole. God helped me to realize during my time in the Companions Program that for now I could set aside some of my questions. First I needed to focus on my relationship with God. I came to see that along the previous leg of my life’s journey, some of the ideas I had picked up about God were wrong. I had taken bits and pieces of scripture and turned them into what I believed was true. I had this image in my mind of a God that punishes. This image of a punishing God had not helped when I came up against the biggest spiritual struggle of my life. Instead of being able to turn to God when faced with tragedy, I believed that I had been abandoned because I had failed. Day by day, living here in the Convent began to change this. We prayed together. The Sisters and the other two Companions loved me and prayed for me. They shared scriptures, songs, and videos that were meaningful to them. I was accepted by all of them as I was, and for the first time, I did not feel I needed to do or be anyone else but me. More than that, I realized that this was the person God also loved and wanted and waited to be with. I found out that God is love. Here in the Convent, there is rhythm and balance. There is time to worship. In a wonderful and inexplicable way, the rhythm of life here even givens time back. There is time here to seek God’s face, and to soak in the rich meaning and symbolism of the liturgy. My ears actually hear differently here. Life at the Convent has helped me to understand true freedom and real peace. It is a life that restores to wholeness through a common bond of unity and purpose. It puts relationships in perspective. We want to see everyone as Jesus sees them. We want to love them as He has loved us. We work together contemplatively and with purpose: To show hospitality to all. To fight for justice and peace. To speak for those who do not have a voice. To build relationships on the strong foundation that we are all God’s children. And to glorify God in all that we say and do and are. 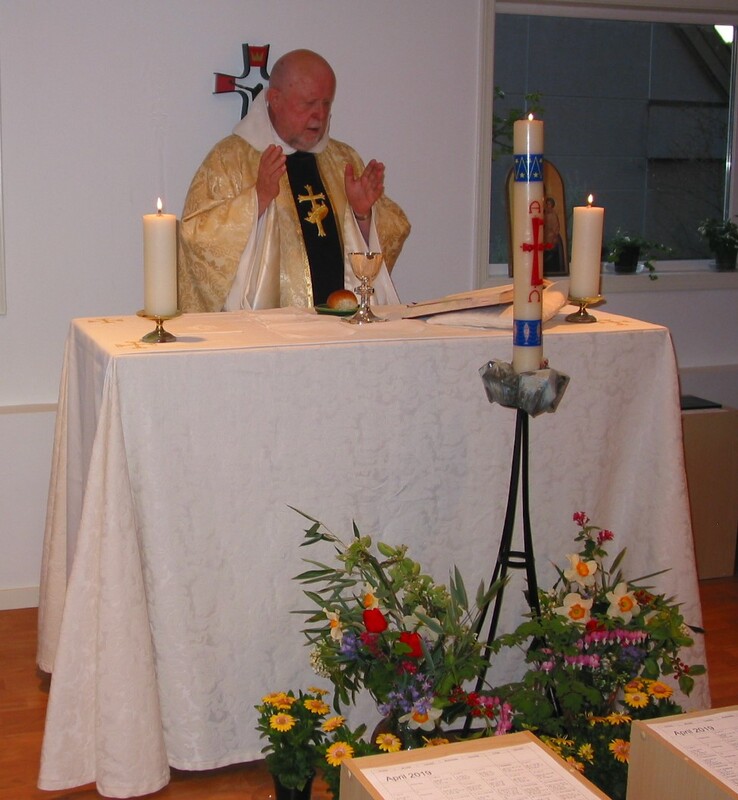 In July, I was admitted as a postulant. I believe that God called me, and brought me here to set myself apart, to equip me with instruction, and to send me forth with a mission to show to others the care and healing that I myself freely received. Twenty years ago last January I received an invitation from the Sisterhood of St. John the Divine to be part of a group of women who, for whatever reason, and at whatever age, found themselves at a “Crossroads”, wanting some prayerful time-out to discern what-in-the-world God might be calling them to next. In a way, the invitation echoed a passage from Luke’s Gospel: “Ask, and it shall be given you, search and you will find; knock and the door will be opened for you.” This of course is the invitation Jesus extends to all who would be his disciples, those looking for a way to live with authenticity and purpose. We were offered an “enjoyable and challenging opportunity to participate in community living, to experience a healthy balance of life; time to deepen our relationship with God through regular prayer and meditation, reading, classes, and individual mentoring with a Sister; space to explore vocation as a way to live out our Baptismal call, as lay or ordained persons, in or outside the Church and to gain insight into how to discern one’s call to a particular life or ministry.” What a generous invitation! Jesus’ image of the loving parent reminds us, as did C.S. Lewis and Kierkegarrd, that prayer does not change God; it changes the one who prays. The prescription to ask, seek and knock is preceded by what we now refer to as the Lord’s Prayer, which as Christians, has become the model for us for all our prayer. In it, we find all of Jesus’ most fundamental teachings: the primacy of love over hate, forgiveness over vindictiveness and, above all, the summons to unite our desire to that of God’s. It is the framework that encourages us to look beyond our own needs to the needs of others and to our needs in relationship with others. Once we take our focus off what we think we want, we can more clearly discern what God wants for us. In these last twenty years I’ve discovered discerning God’s call is not necessarily an easy task. Nor is it a “one-time” task, but rather a daily, prayerful, life-long, on-going pilgrimage as the marvellous road unfolds before us. There is a sign in the grass just outside the front door of St. John’s Convent which proclaims “Wherever you are from we’re glad you’re our neighbour”. It’s an almost childish sentiment but it references the twofold law of love which states we must love God and neighbour and as such, it represents the community’s intention to genuinely recognize all those around us as our neighbours. This past week, as Toronto absorbed the shock of an horrific attack a short walk from that same front door, an attack which left 10 dead and many more injured and traumatized, we were once again made aware of our many connections within our local community and further afield. Emails, calls, and messages came in from people who wanted us to know they were upholding us, and all those affected, in their prayers. We in turn prayed for the victims, their families and friends and for the first responders. We prayed for all the people who stopped to help and for the young man who drove the van. 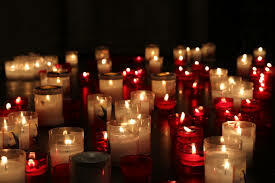 As I prayed with my sisters, aware of all the people in the city, the country, and around the world praying with us, I was reminded of a phrase often attributed to Eleanor Roosevelt, “It is better to light a candle than curse the darkness.” I thought of our prayers as tiny, flickering candle flames together transforming the darkness the attack had caused. The two disciples on the road to Emmaus encountered the risen Christ on their journey. That ordinary, dusty walk became for them a pilgrimage, a physical experience which spiritually transformed them. 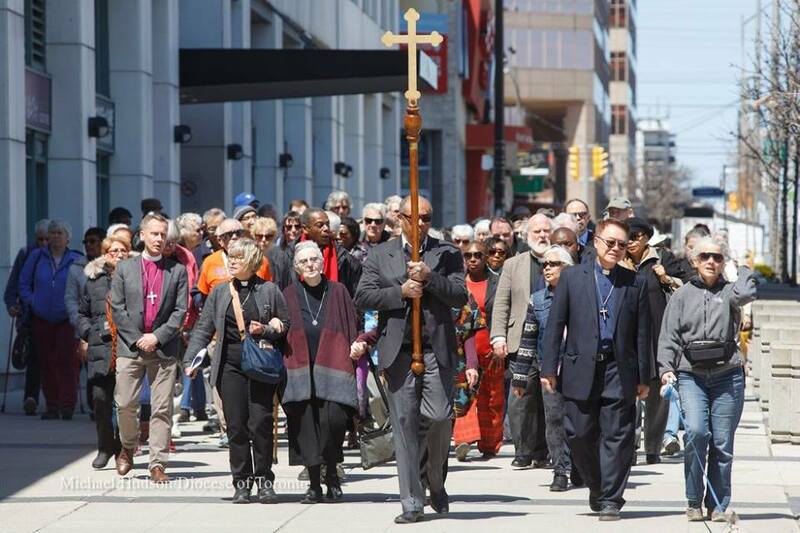 A prayer walk down Yonge Street this past Monday, marking one week since the attack, was also an experience of meeting God’s love in each other. May we all be open to see the reality of resurrection life in the sisters and brothers we travel with on our own pilgrimages through life.